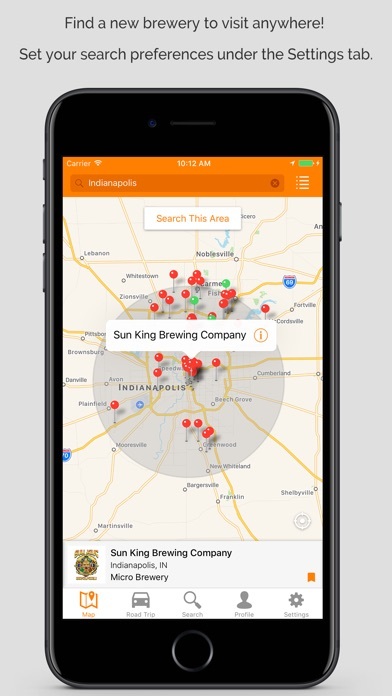 BreweryMap is the best way to discover new breweries around you. Wired.com recently called BreweryMap a "great beer trip planner," and with features like Road Trip, we can see why. Whether you are looking to try beer from the newest brewery in your hometown or taking a road trip to somewhere new, let BreweryMap be your guide. The #2 Food & Drink app in the US The #1 Food & Drink app in Canada - Search by location, brewery name, beer, or scan a beer's UPC code. 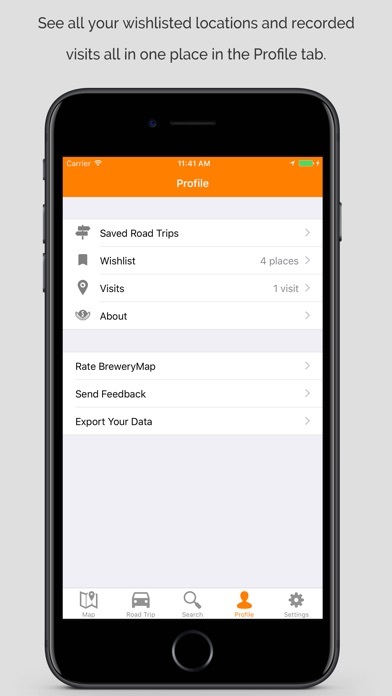 - Log your brewery visits with a personalized rating and notes - Save breweries you'd like to visit to a personal wishlist - Create a road trip, choose from alternate routes, and bookmark your favorites - Export your wishlist and visit data via email - Discover brewery details like hours of operation, tour info, and the beers they brew - Filter by only the location types that you're interested in (micro, macro, brewpub, restaurant, etc.) 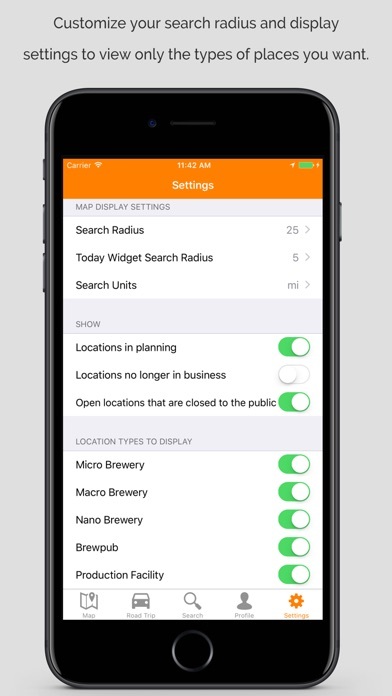 - Email a list of breweries to check out - Find upcoming breweries that are in planning - Contribute any missing breweries or beers to the map BreweryMap is a must-have app for beer lovers everywhere. 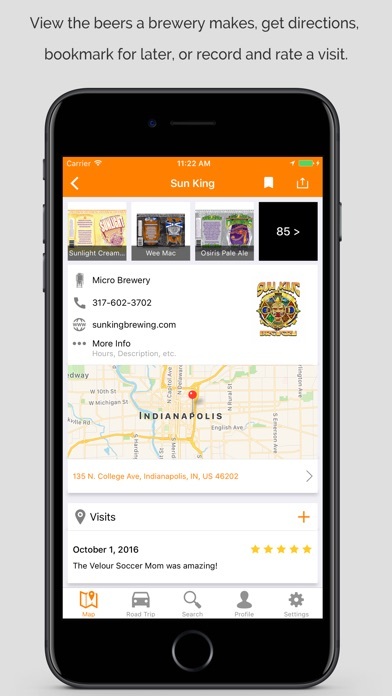 Check out what the critics have to say: "If you're a beer fan and want to find some new breweries, BreweryMap is the best option." - iMore.com "Great app, one of the best." - Dave S. "Nicely done, folks! This may be the best app EVER, period!!!! We travel from Wisconsin to Michigan, all the way to Colorado. This app might have opened up a Pandora's box!!!!!!!!" - Lawrence Of Neenah "Love your app! 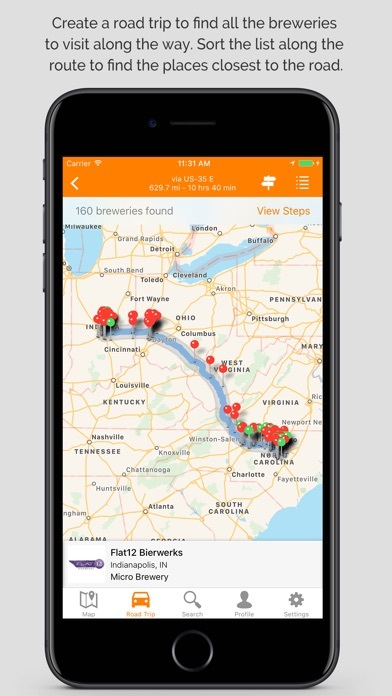 I am wrapping up my brewery tours of the state of Virginia and this app made it so much easier." - John D.
My favorite local brewery and my favorite vacation spot cidery do not show up. Attempted to add and nothing is added. The brewery is on Untappd, google maps, etc. and had been around longer than other listed breweries. Apparently not great for finding the small hidden gems! I love this app! I track all of my Brewery visits and remember the good times...and delicious brews. Loved this app, but just updated and all brewery visits are gone from the app. Good concept but it crashes a lot. If you like trying new beer everywhere you go, get this app. Works great. This app has made my travel much more efficient by finding local great places for beer. We visited Chicago and 3 of the 4 breweries we visited, following this app's map, did NOT exist. Just bogus addresses. Waste of our time. Absolutely love the road trip feature! I'm stoked about this. It does most everything Untappd doesn’t. The mere fact that the developer responds to reviews individually is outstanding and worthy of the greatest rating!